Home Dialysis Central has pulled together this selection of helpful products for dialysis patients. Select a category to show only those related products. Do you have a product that you think could be useful for dialysis patients? Fill out this form to add it to our list. Please note: we do not sell any of these products! You must contact the company that makes them for price and order details. You will find contact info for each company under each product. Listings in the Helpful Products Catalog on Home Dialysis Central are a service to you. The Medical Education Institute, its staff, its Board of Directors, and its sponsors do not endorse any product or service. Talk with your doctor if you don't know whether a product is safe or wise for you to use. We do strive to ensure that each listing is correct and complete—but, we can't guarantee it. We also can't and don't endorse, recommend, or review all of the links you could follow off of this site to another site. We are not responsible if a link you visit harms you or your computer, gives you wrong information, or if any other loss or damange occurs. Finally, Sheila Shaw, CEO of Patient’s Pride, Inc., has made her story available on an audio CD and reveals her secrets that helped her make it through some of the darkest times in her life! This CD was also inspired by the thousands of patients, caregivers, and nurses who have shared their stories, grievances, and concerns with her. Sheila Shaw has been living with chronic illnesses for the past 20 years, including Lupus, Osteoporosis, and kidney failure. As the CEO of Patient’s Pride, Inc., a kidney transplant recipient, and a former peritoneal dialysis patient of five years, Sheila has dedicated her life to inspire others to live their lives to their fullest despite living with a chronic illness. Listen to this CD while doing hemodialysis or chemotherapy. Listen to this CD while driving. 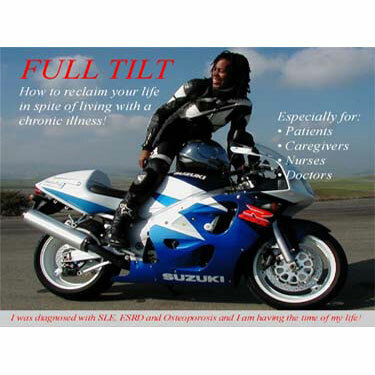 Share this CD with your patients, nurses, doctors, and loved ones. The information on this CD just may save your, or your loved one’s, life. The HemaStrap, by Hema Assistance Products, is a lightweight fabric strap that is comfortable, easy to use, and does not interfere with dialysis or infusion treatment. It is designed to secure and stabilize dialysis/infusion tubing during patient treatment to minimize tugging and painful infiltration. 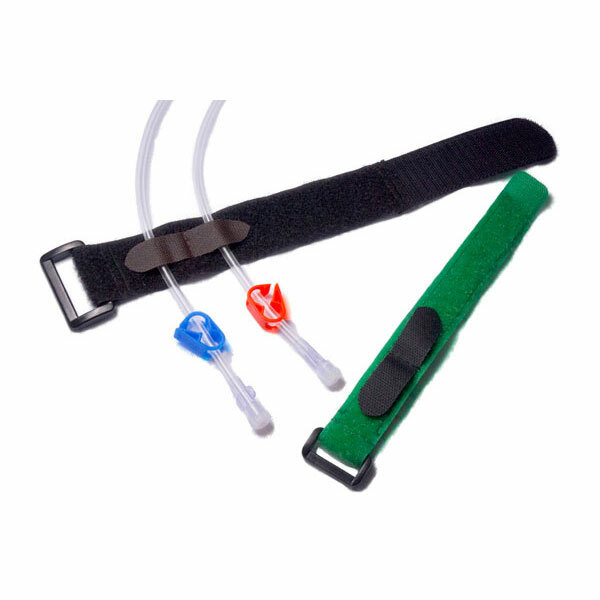 Our patented strap comes in three (3) different sizes: adult large and small, and youth for pediatrics. The adult sizes (Hemastrap HA 600-077 or HP 540-077) can be adjusted quickly and easily by marking the hook area of the strap with a soft lead pencil or marker and trimming with scissors, leaving at least 3/4 of an inch of hooking. For most patients, adjustment of the youth Hemastrap (HY 540-077) will not be necessary. 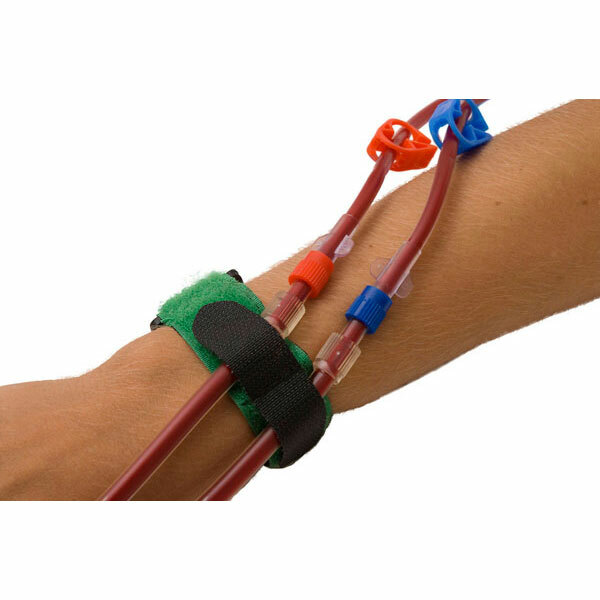 The Hemastrap is designed to be worn around the patient’s wrist by inserting the hook strap through the black D-ring. Secure the strap by folding the hook fasteners, located at the end of the strap, against the felt. Loosen the infusion retainer straps on the dorsal surface of the wrist. After the infusion is started, secure the tubing under the retaining straps. To place orders or for more information, a HemaStrap representative can be reached at 727-410-0150. Hemowear, LLC was created out of a desire to produce a clothing line that would help people with medical needs. This line of clothing will enable those who are on dialysis, and/or chemotherapy to feel confident and comfortable while receiving medical treatment. 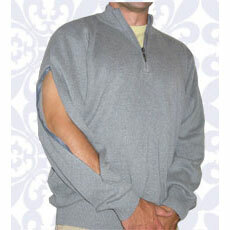 The clothing is customized for easy access to port sites, permanent catheter and AV fistulas. Our mission is to design, manufacture and deliver products that meet the unique needs of each customer by marketing the most appealing and widely desired casual wear with the customers’ medical needs in mind. When it comes to securing PD transfer sets, simple is still best. Immobilé is one of the most innovative ways to secure PD transfer sets on the market. It remains the preferred choice for thousands of patients in the U.S., Canada, and Europe. 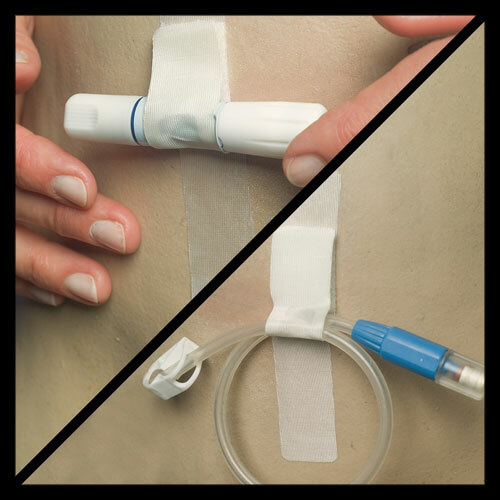 A patented combination of hypoallergenic adhesive together with a Velcro hook-and-loop tab makes Immobilé cost effective, body trim, and very easy to use. Immobilé was developed from patient requests for a device that not only secured the transfer set but that secured it in such a way as to allow normal active body movement (such as biking or skiing) without concern for the integrity of the set or access. Patients also wanted to eliminate the sticky step of pulling tape off the transfer set three or four times a day when releasing it for an exchange. When care is taken one Immobilé can be used for three days (up to 12 exchanges). Many people prefer Immobilé to a belt because it is much more body trim, easier to use and yet, very effective. Visit our website for more information and instructions for use. Email or call us to request a free sample. INSTA-STOP® Hemostatic Gauze quickly controls and stops bleeding. INSTA-STOP Hemostatic Gauze is made from cotton, and is 100% plant-based with no animal products, eliminating the possibility of an allergic reaction or irritation. The 2x2 gauze pad is designed for dialysis patients, as it controls the bleeding quickly and easily. When INSTA-STOP hemostatic gauze is applied to a bleeding surface or wound with slight direct pressure, and comes in contact with blood, the blood is instantly absorbed. As the blood is absorbed, and INSTA-STOP expands, it blocks the end of the blood capillary from the injury, which controls and stops bleeding and protects the wound. INSTA-STOP Hemostatic Gauze is ideal for patients who are taking anti-coagulation medication, patients taking medication with anti-coagulation side effects, and for patients with blood coagulation disorders and reduction in blood platelets. 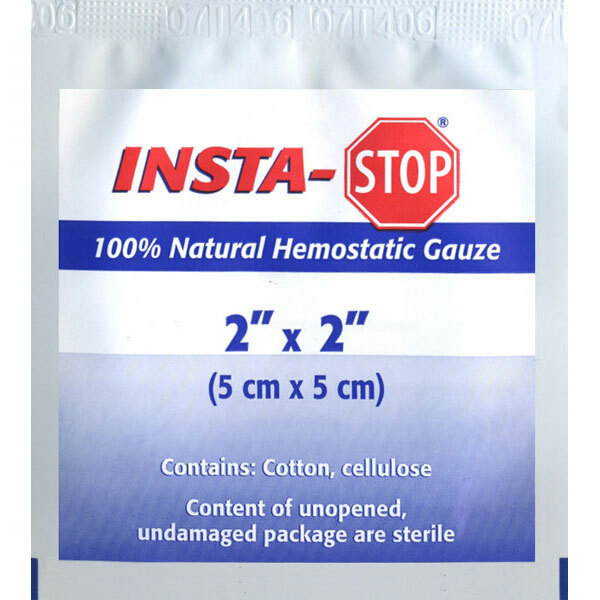 INSTA-STOP hemostatic gauze products are over-the-counter and have a 3-year shelf life (until opened). For more information, or to purchase INSTA-STOP hemostatic gauze, please call or email us at the numbers below. Parker Anderson, Inc., designs, develops, patents, markets and sells Hemostatic Gauze products within the INSTA-STOP® brand family. Included in Parker Anderson’s products are INSTA-STOP Hemostatic Gauze nose plugs, dental plugs, and exterior pads. Parker Anderson is building and selling the INSTA-STOP Hemostatic Gauze brand family in various sales channels including the medical, dental, military, sports medicine, veterinarian, and retail markets. The simple and effective design of the SysLoc family allows the needle to retract easily into the hub without the use of any bulky attachments. The SysLoc needle allows you to choose from a wide range of configurations for hemodialysis or apheresis treatments. The JMS WingEater is our most popular safety AV fistula needle. 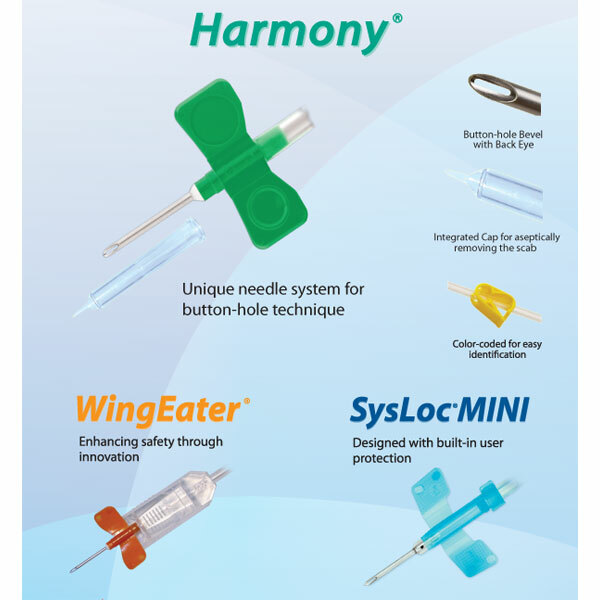 WingEater provides extraordinary needle-stick protection in an easy-to-use design. The JMS Harmony needle is for use with previously-established mature access sites using a constant-site (Buttonhole) technique of needle insertion. JMS Harmony needles include an innovative site preparation tool and is specifically designed for home dialysis patients and patients who self-cannulate. Please contact JMS or one of their distributors for more information. You can also visit their website for video and training manuals. Patients with chronic kidney disease (CKD) represent a unique population with regard to nutritional requirements and appropriate supplementation. 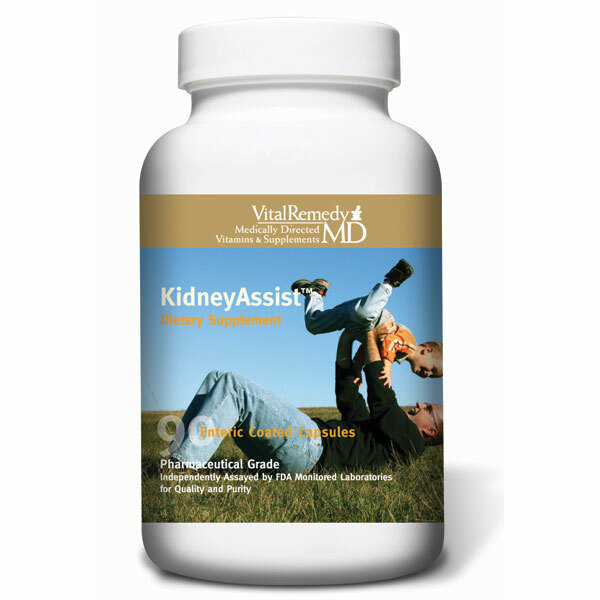 KidneyAssist™ is a daily multivitamin and mineral formula designed to meet the nutritional needs for a specific state of kidney function. Limiting simple sugars, maintaining ideal body weight, and keeping sodium intake at reasonably low levels can provide additional kidney support. Attention should also be given to the intake of protein, phosphorus, calcium, and other minerals. NOTE: This product is available only with physician recommendation. KORshield is a reusable cover that allows patients with central venous catheters to shower again. The inventor, Dr. Adel Korkor, was concerned that his patient's could not easily shower without resorting to unsafe and non-hygenic means, like taping plastic bags over their access. 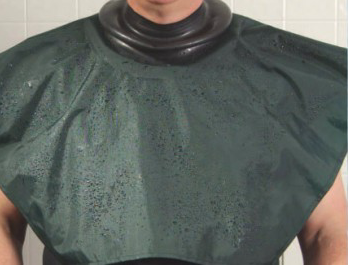 KORshield is designed to be pulled over the head before getting into the shower. The reusable device covers the catheter site and keeps water from coming in contact. Once the shower is done, the KORshield is simply hung up to dry, ready for the next shower. The KORshield comes with an unconditional 1 year guarantee. If for any reason you are not satisfied, return for a full refund. Libre is dedicated to providing comfortable, functional clothing for dialysis patients. Libre products are developed with the customer in mind as we strive to ease the burden of treatment days. We are committed to giving back to different foundations that work with us to bring ease to these patients’ lives. Our goal is to make each patient’s life a little more "libre!" 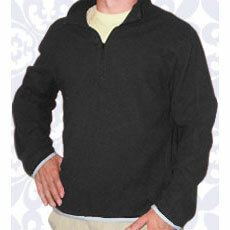 The Lerwick is our men’s, half-zip, pull-over sweater, offered in gray or brown. It can be ordered with the access in the right or left arm. 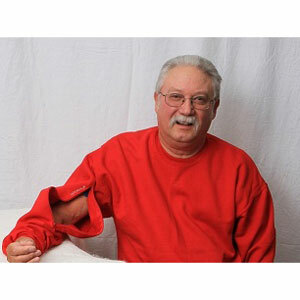 An invisible zipper is used to keep the opening discreet and hidden to the common eye, allowing patients to wear the Lerwick more places than just the dialysis center. Our clothing was designed to meet the unmet needs of patients receiving treatment through port sites. Inspiration comes from our own families as we watch people impacted daily by the life-changing process of dialysis. Our clothing is functional and will keep patients warm and comfortable throughout the day. The Marlon is our unisex, half-zip, pull-over sweatshirt, offered in black. It can be ordered with the access in the right or left arm. An invisible zipper is used to keep the opening discreet and hidden to the common eye, allowing patients to wear the Marlon more places than just the dialysis center.